RICM had a Renewal Weekend on August 3 - 5, 2012 at Toddhall Retreat Center in Columbia, Illinois. The theme was "Prayer: A Way of Life". It was a very great weekend with a deep reflection on each of our prayer habits. Matt Everett led us in wonderful praise as usual. 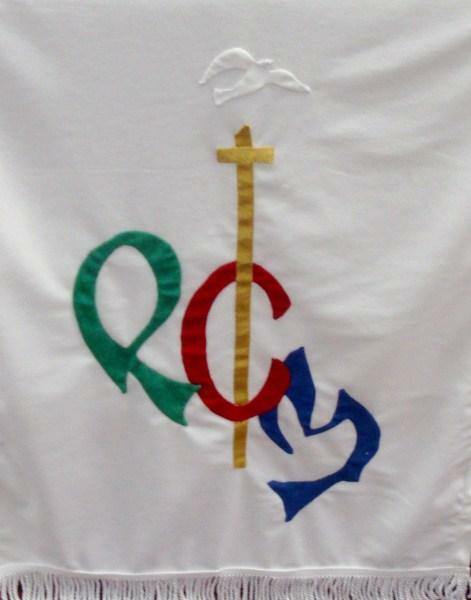 The above photo is of the new Altar Frontal that was designed and made for RICM by Sue Casebeer. We all are most thankful for this new addition to our portable Altar as we move from one conference center to another.